This is one of the largest Canada-based specialty frozen food store chains. Its headquarters are in Ontario and store locations are spread throughout the Northwest Territories, Yukon and all ten provinces. Formerly, the company operated in Midwestern U.S. under the brand, MyMenu. However, in early 2011, the brand was discontinued. The history of M&M dates back to 1980 when the company was founded in Kitchener, Ontario by Mark Nowak and Michael (Mac) Voisin. The original model adopted by Voisin and Nowak aimed at providing premium quality, affordable meat. The partners realized that meat that was flash frozen remained fresh for a longer time. 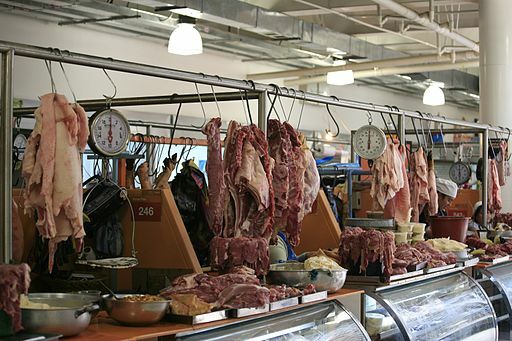 The meat could be sold at prices that were comparable to that of supermarket meats, hence, could be stored over a longer term. Generally, the locations of M&M were small, and were mainly linked to strip malls. They comprise of a counter, several freezers, product consultant and a conspicuous price list. The company’s head office is situated in Kitchener, while regional offices are in Quebec, Montreal, Alberta and Calgary. The first new franchise for M&M was opened in Cambridge, Ontario. This was in 1982. In the mid 1980s, Greg Voisin, Mac’s brother and co-owner became the franchising director. The company has since grown and expanded to more than 425 stores throughout Canada. In 1992 and 1997, M&M entered Quebec. Although the company initially specialized in meat cuts, it later diversified to offer appetizers, prepared meals, seafood, single servings and desserts.